Say hello to our NEW #CrowdCrew Box/OCTOBER REVEAL & GIVEAWAY! WE’RE LAUNCHING OUR MONTHLY #CROWDCREW BOX GIVEAWAY PROGRAM! And you have the chance to WIN…Like, right now. We are beyond excited to reveal what made it into our very 1st #CrowdCrew Box EVER and it includes all of our Favourite Fall Essentials, just in time for October 2017. Can you guess what’s inside our October #CrowdCrew Box? See below to find out and learn how YOU can be eligible to WIN these new and exciting giveaways EVERY MONTH! LET’S TAKE A SNEAK PEAK, SHALL WE? 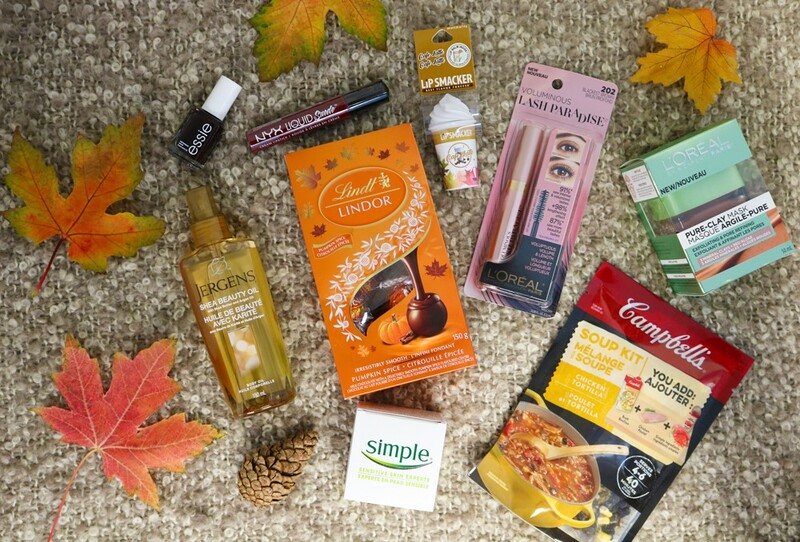 So how can you WIN all of these fabulous fall finds? Leave a COMMENT below telling us what items you’re most excited to try in this month’s #CrowdBox. Be specific, we want all the juicy details! Must be 18+ and a Canadian Resident excl. QC to be eligible to win. It’s THE must have Mascara for 2017! We love it! Ah, this is so exciting!! Congrats on your relaunch! this box is filled with so many fabulous items !! it is difficult to choose just one item that would be my fave to try; but, if I have to, I have really wanted to try the L’Oreal Pure Clay Mask — I have had my eye on this product for a while — I really enjoy masks; I find them to be very relaxing and satisfying – I have heard lots of good things about this mask, but haven’t had the opportunity to try it!! thank you for the chance to get in on this fabulous box — I hope I am lucky!! Everything looks great!! I’m very excited to try the Campbell’s Soup Kit, LINDOR Pumpkin Spice, JERGENS Shea Beauty Oil, and the Lip Smacker Lip Café Latte Lip Balm! I’m already a huge fan of the L’Oréal/Voluminous Lash Paradise Mascara! Dark lips are a must for fall and NYX has the perfect colour 🙂 Good luck! Oh it’s hard to pick just one. I’m excited to try everything in the box. I love facial masks so, I would love to try that l’oreal clay mask. The pure clay mask I want to try it so much. It’s one of my favourite L’Oreal products! Pumpkin spice everything please! <--- yes! I have never tried the lip smackers lip cafe latte lip balm sounds like it would be like a coffee flavour sounds interesting would love to smack my lips with some lip smackers. 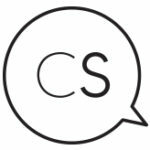 I am excited to try the Loreal Pure Clay Mask in the #crowdbox ! It sounds lovely and also all the other goodies look great as well! I think the Simple Nourishing Cream would be the one that I would be most excited to try from this box, although Lindor would probably be THE first thing sampled! When Fall/Winter season comes, I am all about skin oils so I am preety excited to try Jergens Shea Oil! Oh you’re not making it easy to choose but okay okay, the Lindt pumpkin spice chocolates. I love Lindt and I love everything pumpkin spice so the two together must be amazing! I’m really excited to try the L’Oreal Lash Paradise Mascara I hear so many great and amazing things about it and every time i try and purchase it when it goes on sale all the shelves are cleared! Pumpkin spice Lindor? Yes please! Or the L’Oreal Pure Clay Mask – I’ve been looking for one of those and this is a good brand. Then there is the L’Oreal Lash Paradise – I’ve been trying to find a mascara that will help make my eyelashes look fuller. It sounds like these will do the trick. The Simple Nourishing 24 Hr Day/Night Cream would be great in this dry fall weather we’ve just started getting. So it is kind of hard for me to think of one thing I’m most excited about since everything looks great but this is a good time to mention my toenails are really in need of some new colour and Essie Nail Polish is one of my favourite brands – it brushes on so easily and holds an impossible shine for the duration. I’ll keep my fingers and toe nails crossed! I’m most excited to try the L’Oréal Voluminous Lash Paradise Mascara from the #CrowdBox! I love the original Voluminous mascara; I’m sure this one would be great! This box looks amazing! I would be really excited to try the Lindor Pumpkin Spice chocolates! They sound delicious! Out of this month’s #CrowdSocial #CrowdCrew Box I would definitely be most excited to try the NYX Liquid Suede Lipstick because I love anything NYX & haven’t yet tried any of their lippies! And the L’Oréal Voluminous Lash Paradise mascara because I’ve heard that it’s amazing & selling out everywhere! So excited for your new giveaways! Thanks for the chance to win!